This photoessay, entitled We Missed You, was shot for the University of NSW student publication Tharunka. 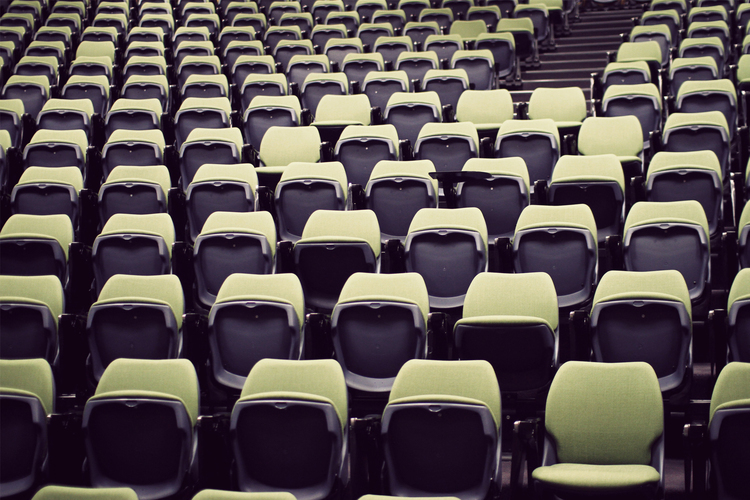 Shot specifically for the first issue of the 2011 semester, the photographs focus on the repetitious spaces created by the empty seats in lecture halls on campus. The vast empty rooms beg for human presence; the empty chairs purposeless without beings to fill them and brings them to life.